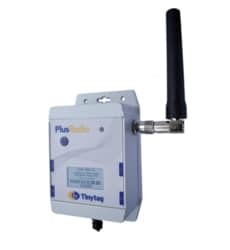 Tinytag Ultra Radio loggers are designed for discreet indoor monitoring in buildings such as offices, museums and galleries with a number of monitoring points and where manually downloading individual loggers may be time consuming. Data is sent from the logger to the receiver using wireless communications. As well as loggers which record temperature and relative humidity, units in the range also monitor low voltage, current and count inputs, making them ideal for use with third party sensors to record properties such as pressure, flow rates and footfall. Ultra Radio loggers are part of a system that requires a receiver, connected to a computer or LAN, and the Tinytag Explorer radio software. 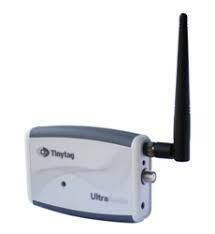 TR-3020, TR 3101, TR 3201, TR 3500, TR 3505, TR 1201, TR 3703, TR 3704 & TR 3804 are the models of Tinytag Ultra Radio. Al Thika Packaging is the exclusive distributor of Gemini Data Logger (Tinytag) in the Middle East. Since 1994 till now Al Thika has been providing Gemini data logger for robust environmental monitoring solutions for food, non-food & beverages industries in Dubai, Abu Dhabi, Sharjah, Fujairah, Ras Al Khaimah, Ajman, Umm Al Quwain, Al Ain – UAE, Saudi Arabia, Muscat, Oman and the many other Gulf countries.